Physical modeling is an approach to synthesis that is very different from other techniques such as FM or subtractive synthesis. This becomes obvious fairly quickly since the parameter choices are like nothing you would find in other types of synths. 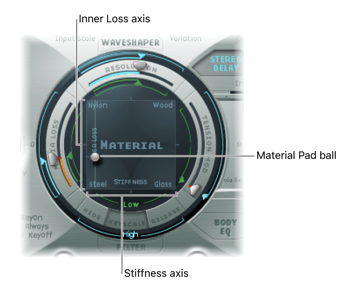 You may see controls for media loss, stiffness or tension, for instance. Often the metaphor of a vibrating string or wind instrument is used as the underlying premise and as a means of visualizing a hypothetical physical or mechanical scenario that would create an associated sound. These scenarios are not restricted to real-world practicalities, so it is possible to create otherworldly sounds – for example, a glass string, played with a bow, vibrating underwater. Components such as the length of the neck, the material the instrument is made of — wood or metal, for example — the diameter, tension, and material of the strings — nylon or steel, for example — and the size of the instrument body can be modeled. In addition to the physical properties of the instrument, you can determine how and where it is played — softly bowed, or plucked, on top of a mountain, or under the sea. Other aspects such as finger noise and vibrato can also be emulated. You can even hit your virtual instrument strings with a stick, or emulate dropping a coin onto the bridge. Sculpture is not limited to recreating real-world instruments. You are free to combine components in any way, leading to bizarre hybrids such as a six-foot-long guitar with a bronze bell for a body — played with a felt hammer. 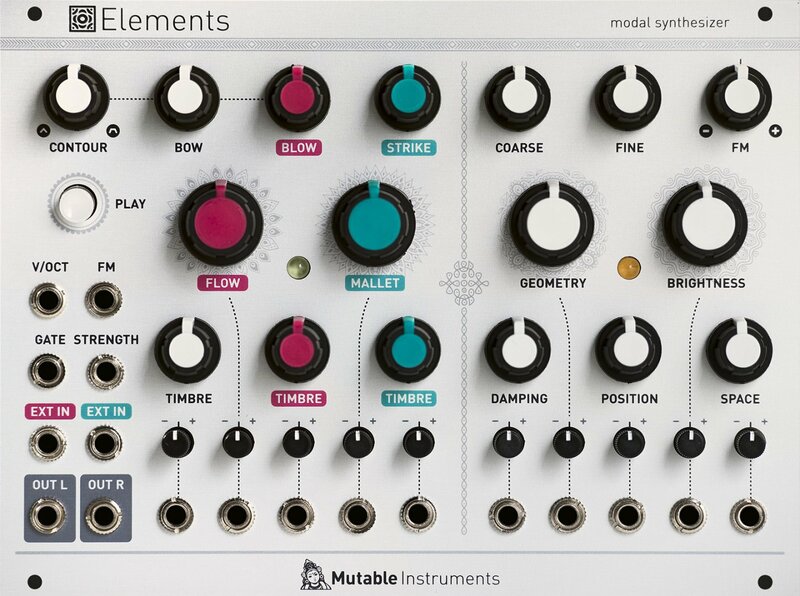 Elements from Mutable Instruments is an incredibly powerful Eurorack module based on a physical modeling engine. The premise of modal synthesis (a form of physical modeling) revolves around resonance and the multiple resonant frequencies or modes that occur when energy activates an object and causes a system to vibrate. When you change a single parameter, such as the method of excitation or the type of material, it may affect the sound in unexpected and substantial ways since parameters are tightly linked in modeling algorithms. 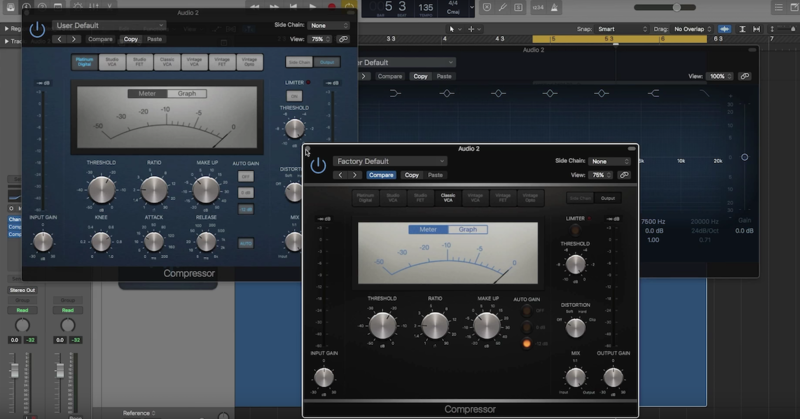 This is particularly apparent in virtual instruments like Sculpture — where seemingly small adjustments can have huge sonic ramifications. When choosing a specific excitation method other parameters appear that are particular to that method such as bow pressure or hammer start speed. 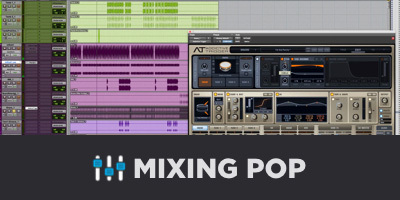 The bouncing effect and gravity strike are iconic physical modeling sounds. 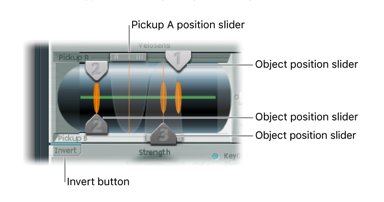 The user can also identify a location on the modeled string where the excitation takes place and the position of two virtual pick-ups. The Material pad offers a matrix that specifies what the metaphoric string is made of which influences its stiffness and inner loss (or dampening features), media loss which emulates an environment in which the string is vibrating, and tension which can create a momentary detuning. In Sculpture, you can specify a “Body EQ” type which uses a modeled resonance profile such as an acoustic guitar, violin, banjo or ukulele to shape the sound. Other parameters that affect formant stretching and shifting can then be employed to modify the original profile into something completely different. There is a substantial body of literature on the subject of physical modeling and I encourage the reader to explore the excellent sources mentioned here as a great starting point. 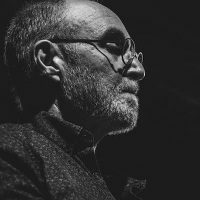 Physical modeling synthesis is a very different approach to creating sound that can yield unique results that go well beyond the idea of emulating acoustic systems. 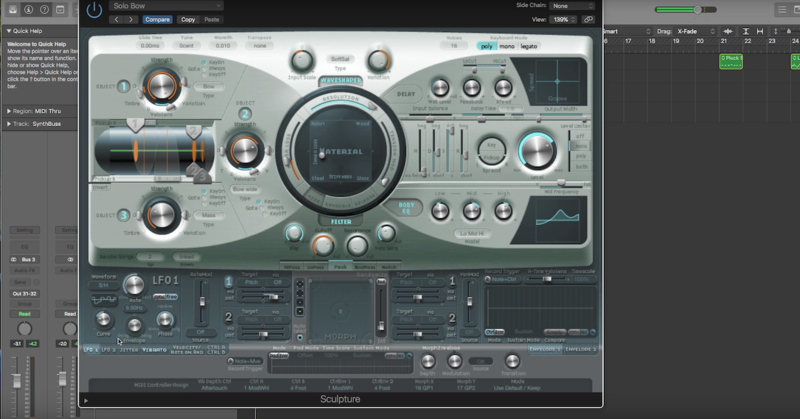 Virtual instruments like Sculpture are perfect for sound design applications thanks to an extensive degree of control and specificity. Mutable Instrument’s Eurorack synth voice, Elements, allows for the modulation of parameters via CV (control voltage), which can create unusual hybrid sonorities when connected to analog or digital oscillators and envelopes. 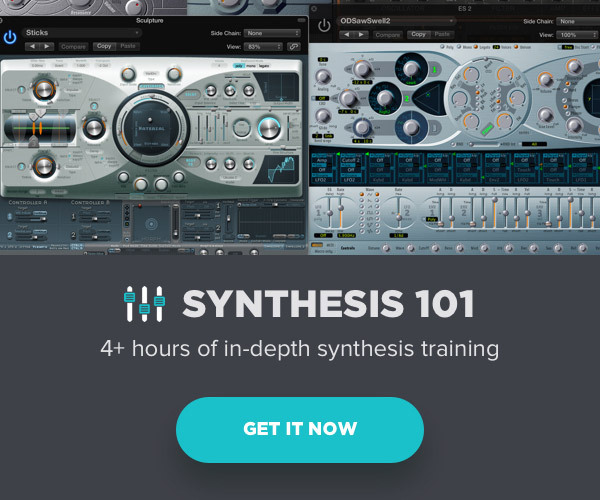 While the parameters in physical modeling synthesis may seem at first foreign or even intimidating when compared to other methods, exploring these types of instruments is definitely worth your time. Mutable Instruments | Elements, mutable-instruments.net/modules/elements/manual/. Collins, Nick. Introduction to Computer Music. John Wiley, 2010. Roads, Curtis, and John Strawn. The Computer Music Tutorial. MIT Press, 2003. Roland TR-808 Wikipedia, Wikimedia Foundation, 14 Jan. 2019, en.wikipedia.org/wiki/Roland_TR-808. OV Valle [Roland US]. “TR-808 Drum Machine Flashback – Roland U.S. Blog.” Roland U.S., 26 Feb. 2015, www.rolandus.com/blog/2014/02/13/tr-808/.